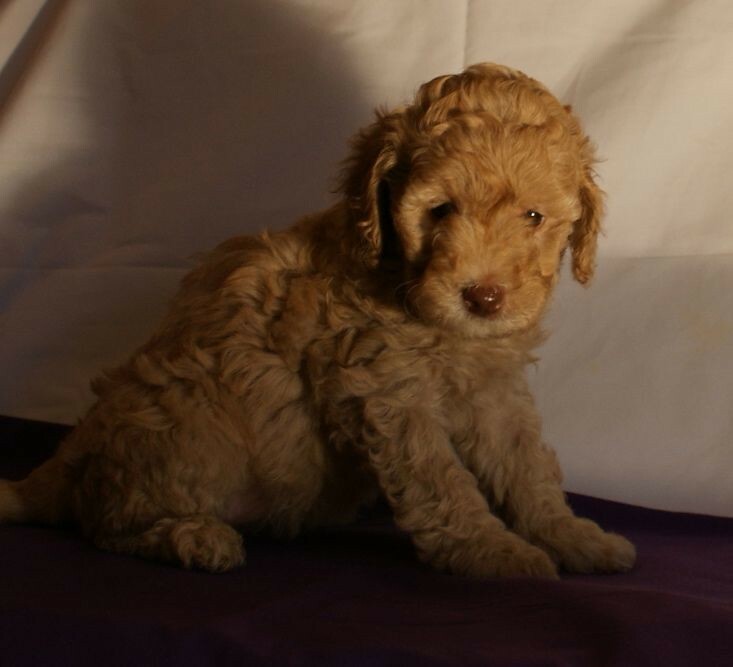 Ashford Manor Labradoodles > Blog > Australian Labradoodle > Apricot Australian Labradoodle > 3 weeks! Comments Off on 3 weeks! 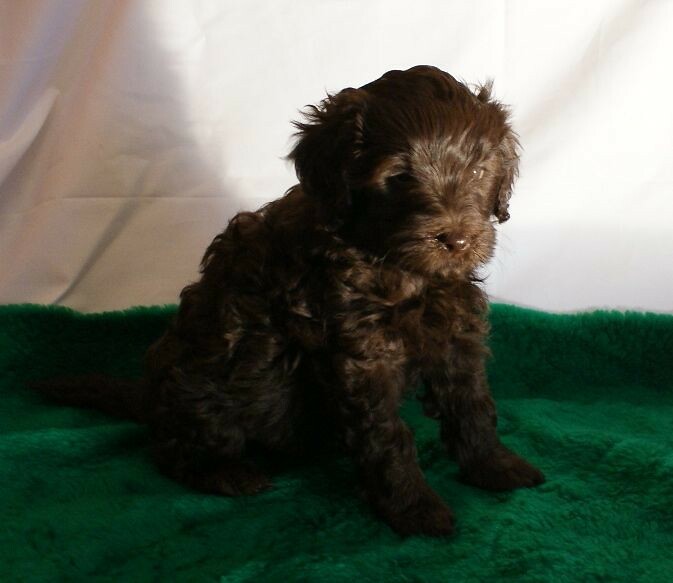 Ashford Manor Labradoodles at 3 Weeks Old! Today we had a professional photographer come in and take pictures of our puppies for us! He gave us a few tips on taking squirmy little puppy pictures. 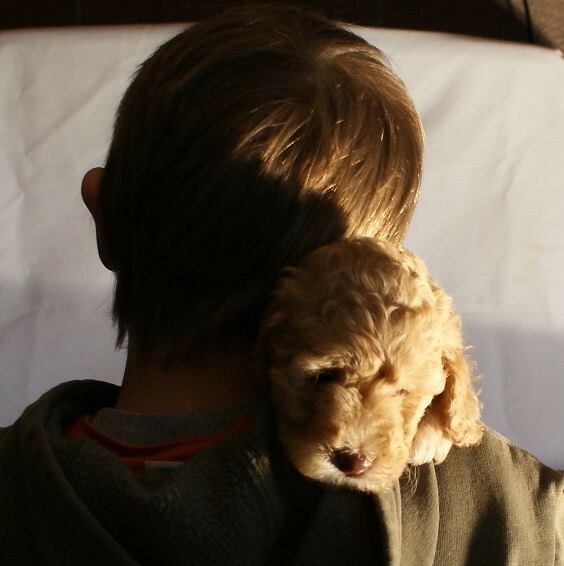 You can go to our Current Litters page to see some of his great photography. So right now the Australian Labradoodle puppies are wobbling around, drinking from mommy and now goat’s milk! Before the end of the week they will be eating canned food all pureed up! It is amazing how fast their little bodies are changing! Some of the puppies had their first trip to the vet for some breeder testing. That was an adventure! They did very well … just a little noisy at times. 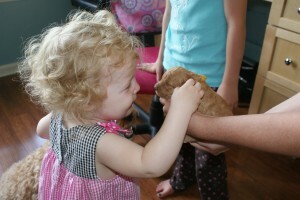 We had some visitors today and the puppies were kissing on a little toddler. It is great to expose them to people of all ages and we do our best to do this when they are a little older … this week it was a toddler! We will reintroduce them to toddlers when they are a little older as well. 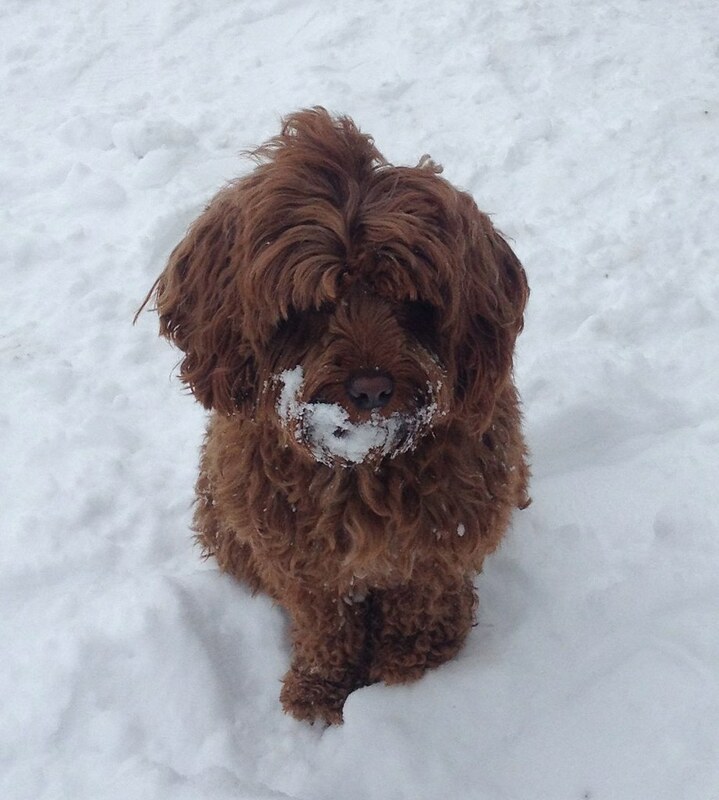 Many people ask us how are dogs do with toddlers, and here is a perfect example. An adult dog is sitting on her left, and she is petting a baby puppy. We work with all of our dogs to love people of every size. 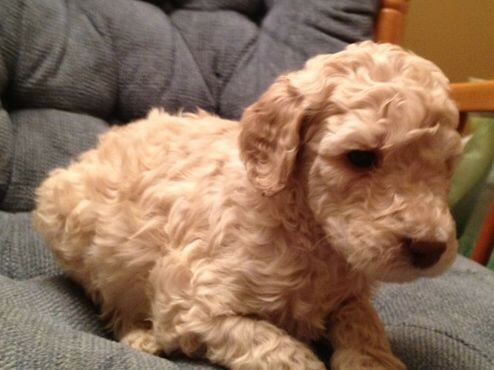 Australian Labradoodles are very gentle and kind animals, they are also non-shedding, and allergy friendly. 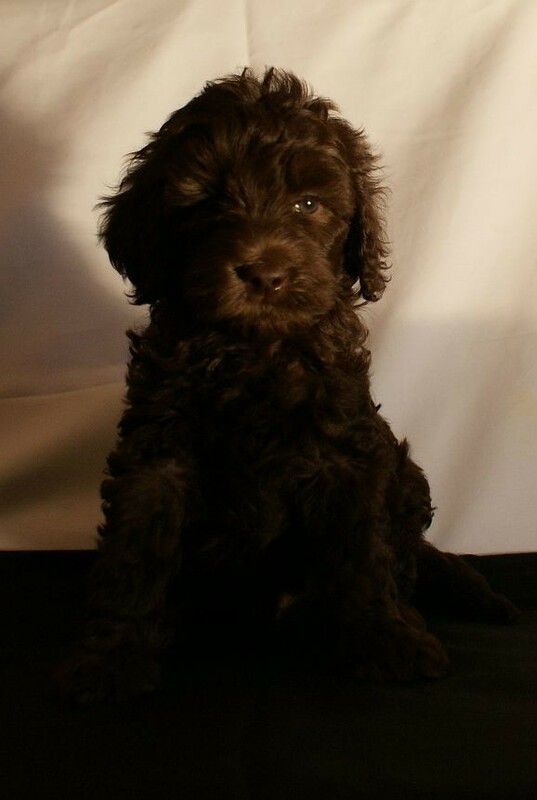 Find out more how an Ashford Manor Labradoodle can be part of your family!